Identifying the most basic colors is possible for most of us, but going a little deeper into it and trying to play around with the shades and color combinations, there needs some programmed tools or extra skills. For those who are using Android phones, there is an easier option by using an Application called Color Grab, which does the job in the most easiest and fastest way. 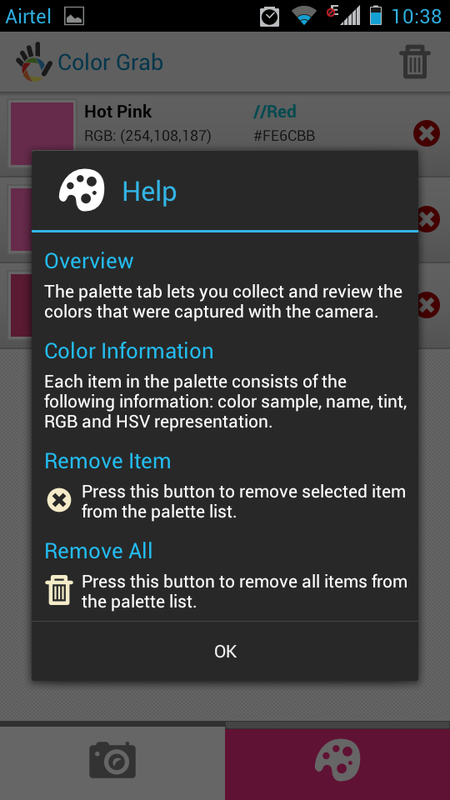 This is the most simplest on-the-go color picker and recognition tool that helps in multiple ways. The app would be the most advantageous for the graphic designers who would want to go deep into the exact values of the particular color, and the color blinds who find it difficult to identify a color. It comes with the Color name, Hue, RGB and HSV representation. This app doesn’t need any special tricks or knowledge to use, and the functioning is simple. 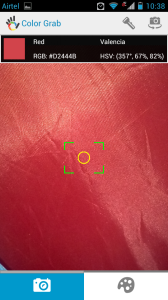 You need to open the app which would automatically open the camera and focus on various objects, and you can click on any particular region where you want to check for the color or the exact RGB value of it. 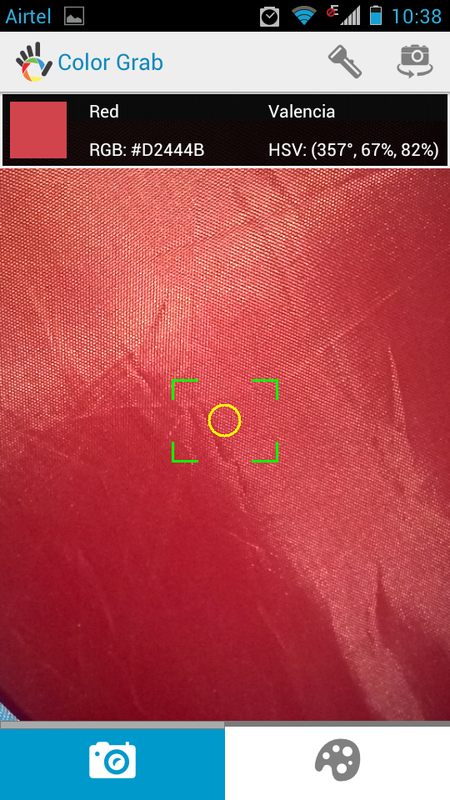 On an instant, the result would be shown on the same screen, or you can check it later by going to the Archives where not just the color code but also the rough color and the other values are shown. 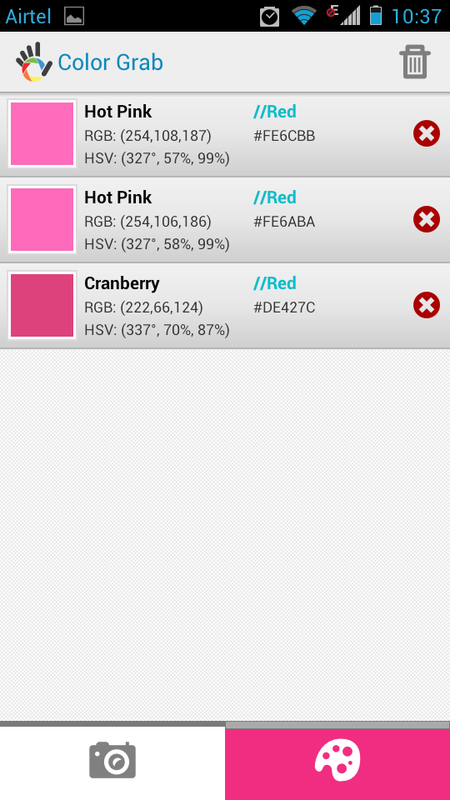 The app is pretty simple, so you won’t be able to do much more productive things like sharing the color information with others, than just viewing it in the list or delete it from the list. One of the other advantages of the Color Grab app is that it is totally free of cost, and there are no ads too. 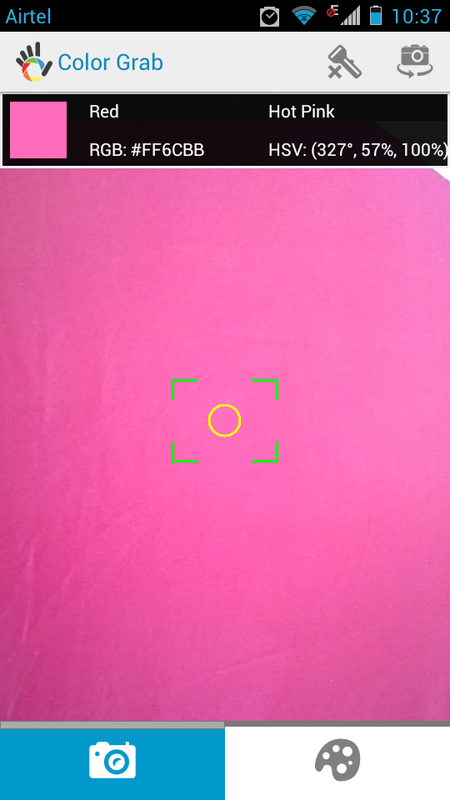 You would see the entire screen filled with the camera capturing area and the other options, and no annoying ads. You can directly send the app to your phone if you have added it to your Google Play Store account, or else you would need to go to the Play Store from your Android phone and download the application by searching “Color Grab”.